Many of us are familiar with Madam Kwan’s – a restaurant where you can’t go wrong when it comes to showcasing truly Malaysian cuisine with its delicious curries, rendangs and signature rice dishes – but what about the smiling lady in the hat and glasses herself? Her name is actually Madam Kwan Swee Lian and the 83-year old is still up at the crack of dawn every day to oversee the food preparations in the central kitchen and a familiar sight at the Pavilion Kuala Lumpur outlet during the day with her friendly figure, large framed glasses and signature hat. 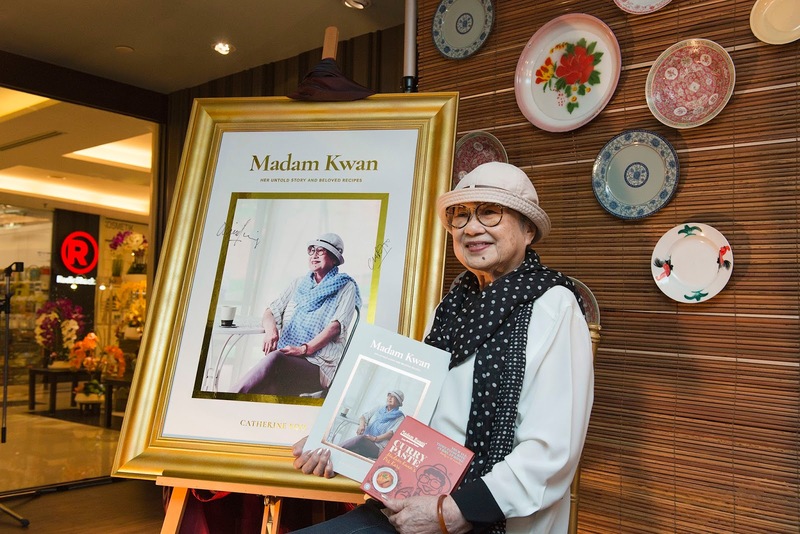 Paying tribute to the grande dame who speaks Cantonese and Bahasa Malaysia, the family-owned business has published a biography sharing Kwan’s rich life story while featuring her favourite recipes from her childhood as well as from Madam Kwan’s. Written by her granddaughter, Catherine Foo, “Madam Kwan: Her Untold Story And Beloved Recipes” tells the tale of how a tenacious and enterprising beauty salon businesswoman with no cooking experience moved into the restaurant business to eventually build a successful enterprise with her son Rudy and daughter-in-law, Rudy and Maureen Ooi. Today, Madam Kwan’s is present in the country’s top shopping malls – Suria KLCC, Pavilion KL, Mid Valley Megamall, Bangsar Shopping Centre, One Utama Shopping Centre, Empire Shopping Gallery and Sunway Pyramid, and also in Genting Highlands Resort. The biography also touches on her personal life and the heart-breaking loss of her eldest son and his family in the 1993 Highland Towers tragedy followed by the loss of yet another son within a decade; providing a rare glimpse of Swee Lian’s strength, determination and ability to overcome the adversities thrown her way. Having cooked with passion for over 60 years, it is no surprise that the biography is interwoven with delicious recipes that reflects her Hakka background as well as favourites from Madam Kwan’s Western and Malaysian menu. Twenty-five recipes have been handpicked including classic favourites from the restaurant such as the Hainanese Chicken Chop, fragrant Petai Prawns, creamy Curry Fish Head and iconic Nasi Bojari. 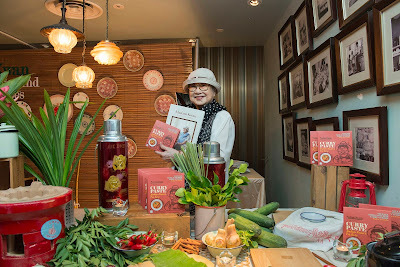 “Behind the famous Madam Kwan’s brand and delicious food is a compelling tale of a woman with gumption, resilience and courage that few are aware of. As her granddaughter, I am very proud to be able to honour this extraordinary woman and her immense determination and talent. She is a truly amazing lady, and I think her story, told here for the first time in detail, is testament to how strong and spirited she is. I hope you enjoy reading about my Grandma as much as I have enjoyed learning more about her,” said Foo during the launch. The humble Kwan attributes her success over the years to customers, family, staff and suppliers. “Success is not my own. I have to thank my family for their patience, loyalty and hard work to run the business. Also having wonderful support from both staff and suppliers throughout the years at both Madam Kwan’s and the earlier Sakura businesses eases my burden while the smiles and satisfied looks on customers’ faces as they leave my restaurants make it all worthwhile for me,” said Madam Kwan Swee Lian. 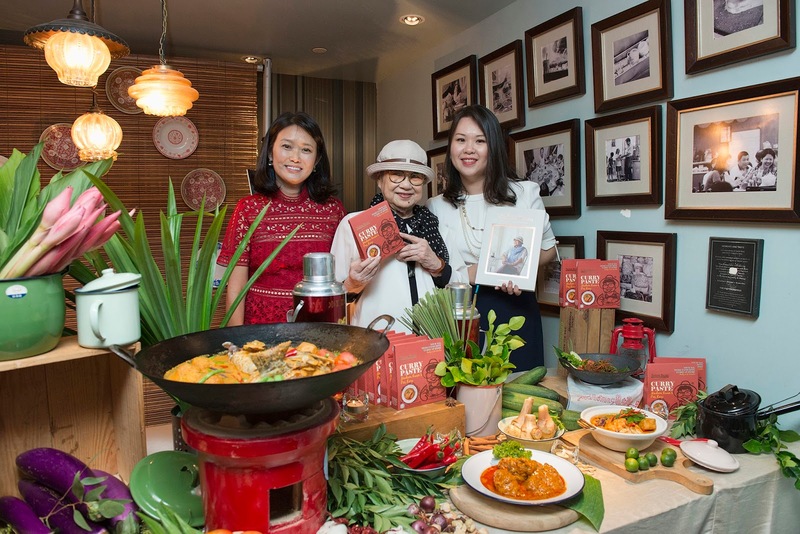 Celebrating her rich life and contribution to promoting Malaysian cuisine, local celebrities and business partners joined close family members at the launch, where the brand also introduced the new Madam Kwan’s Curry Paste that is infused with aromatic spices such as turmeric, lemongrass, shrimp paste and candlenut. With the convenient ready-made curry paste, fans of Madam Kwan’s signature dishes can recreate the delicious flavours of its popular tender beef rendang, chicken curry, fish head curry and curry laksa at home. 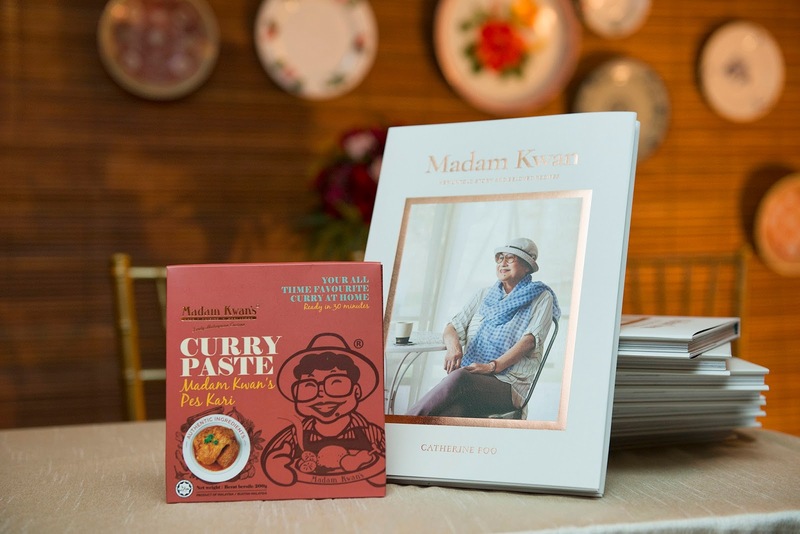 Both the curry paste and “Madam Kwan: Her Untold Story And Beloved Recipes” are available all Madam Kwan’s outlets while stocks last. The book retails at RM89.00 nett while the Madam Kwan’s Curry Paste retails at RM13.90 nett. For those looking for a lovely gift, they can purchase the book and curry paste set at RM100.00 nett, which comes in a special tote bag. Those wanting to get a signed copy of the book and meet Madam Kwan herself can do so at the outlets at Pavilion KL (30th September) and Mid Valley Megamall (7th October) between 3.00 – 5.00pm.